Emmy's dad disappeared years ago, and with her mother too busy to parent, she's shipped off to Wellsworth, a prestigious boarding school in England. But right before she leaves, a mysterious box arrives full of medallions and a note reading: These belonged to your father. 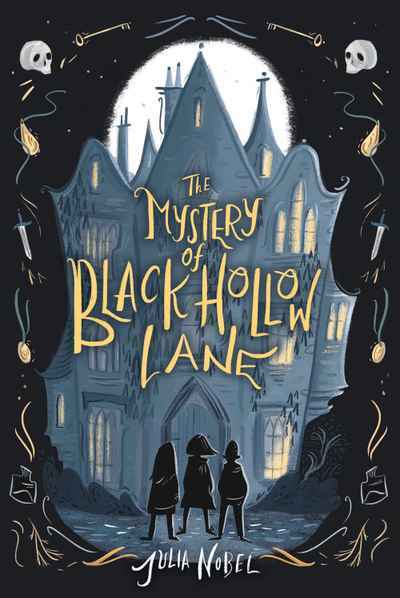 Just as she's settling into life at Wellsworth, Emmy begins to find the strange symbols from the medallions etched into the walls and stumbles upon the school's supersecret society, The Order of Black Hollow Lane. As Emmy and her friends delve deeper into the mysteries of The Order, she can't help but wonder — did this secret society have something to do with her dad's disappearance?